Olympic National Park caught my eye for many reasons, but as real estate agents love to tout, they all came down to location, location, location. Surrounded by a cluster of verdant islands, flanked with stunning waterways and located directly south of Victoria, British Columbia (and only a few hours drive from my current residence in Abbotsford, BC), this corner of the Pacific Northwest demanded my presence for an overnight adventure. My partner-in-adventure Tom and I packed up our tan-tinted Cavalier and headed south into the States. 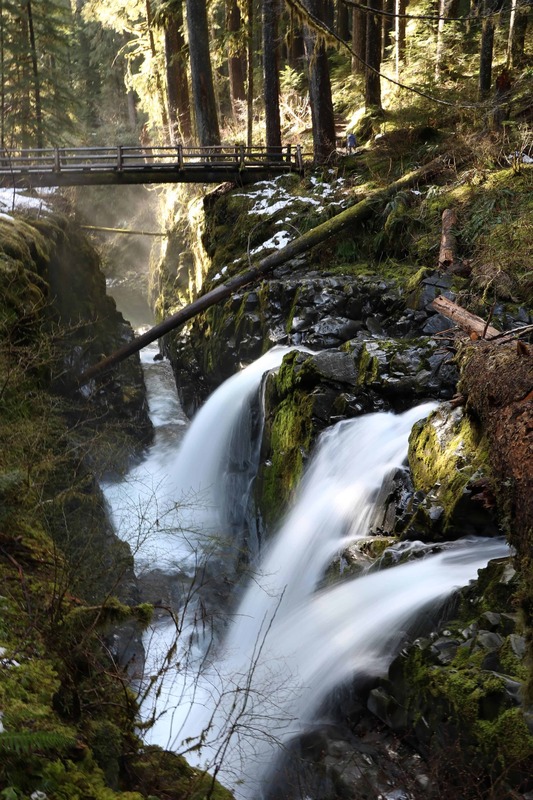 We were bound for a weekend that balanced adventure and relaxation at Sol Duc Falls and Hot Springs Resort. 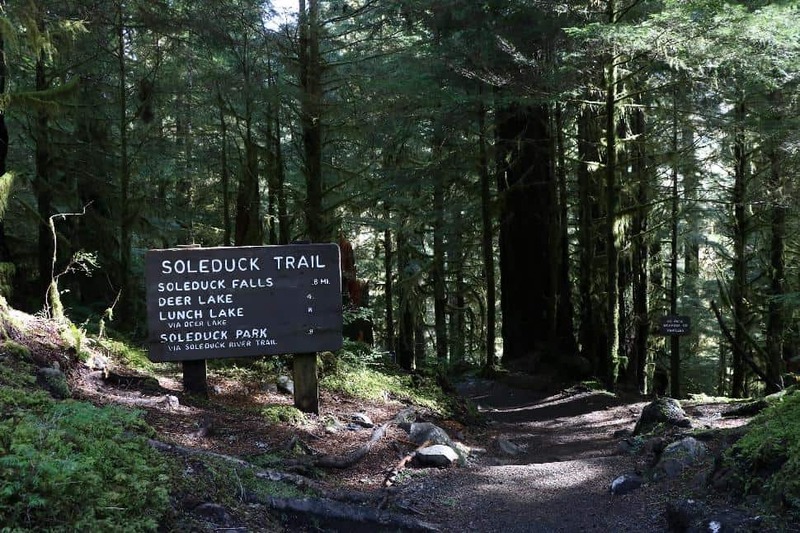 The name “Sol Duc” comes from a Quileute word that means “sparkling water.” Our route to the hot springs takes us across a ferry and alongside a massive, glimmering lake. We stop to see if there are any fish jumping at the Salmon Cascades Overlook, even though it's out of season. And then: one lone fish hurls itself up the rapids. Tom and I marvel at its incredible motivation. 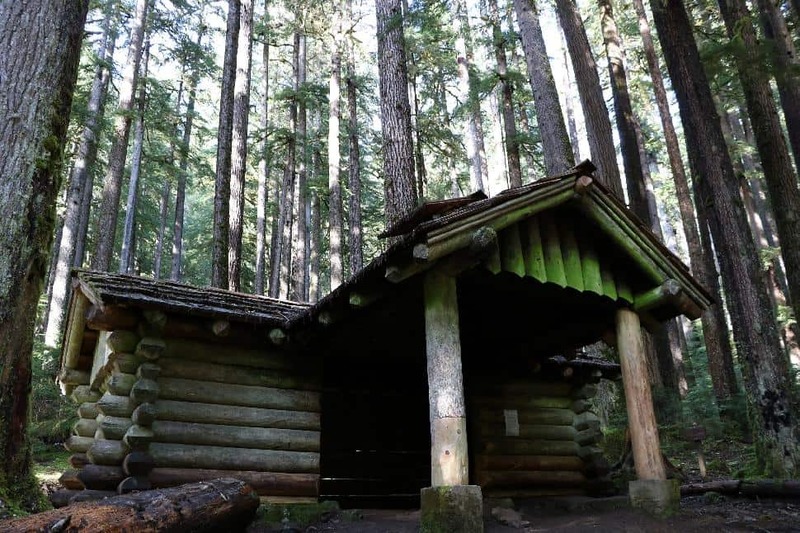 Before checking into our cozy cabin at Sol Duc Resort, Tom and I drive up the road to the Sol Duc Falls trailhead, where we'll commence the 1.6-mile roundtrip trek to Sol Duc Falls. Meandering through an old-growth forest, the wide, dirt trail is easy to navigate. Snow speckles the deep green moss and grey stone on the ground. High above, trees reach impossibly high to touch the crisp blue sky. Beautifully made wooden bridges with integrated benches lead us across streams that eventually become the three-fold spill of Sol Duc Falls. We reach the falls around 4 p.m. Light filters through the massive trees, tinging the world gold. I snap photos of the cascading water and adjacent bridge, convinced I’ve been transported to Narnia. More hikers fill the trail as we leave. We pause to check out the emergency shelter, which is tinted lime-green from the surrounding trees. Back at Sol Duc, we enter the main lodge and receive our key card, pool towels and wristbands. We learn that there's no cell service or Wi-Fi in the area, which is fine by us. This is a weekend for nature, adventure and relaxation, not Facebook updates. Through the Welcome Sheet, we also learn the history of the hot springs. Legend has it, long ago, two fierce dragons ran into each other on the ridgeline that separates Sol Duc and Elwha Valley. A vicious battle ensued, in which each dragon fought bravely to defend their own territory. After years of fighting, the result became evident: it was a tie. Unsatisfied and angry, they both withdrew to their respective caves and began to cry hot tears, which still warm the mineral waters today. Although science may disagree, I prefer this history. Tom and I join the assortment of families, couples and retirees relaxing in the sulfur-scented hot springs. The largest pool features a small jewelled fountain in the centre. There is also a wading pool for children, a large freshwater swimming pool to cool off in, and a smaller, hotter mineral pool. The hot springs are chemical-free and closed twice daily for cleaning. After relaxing our hiking muscles, we sit down to eat at the on-site restaurant. 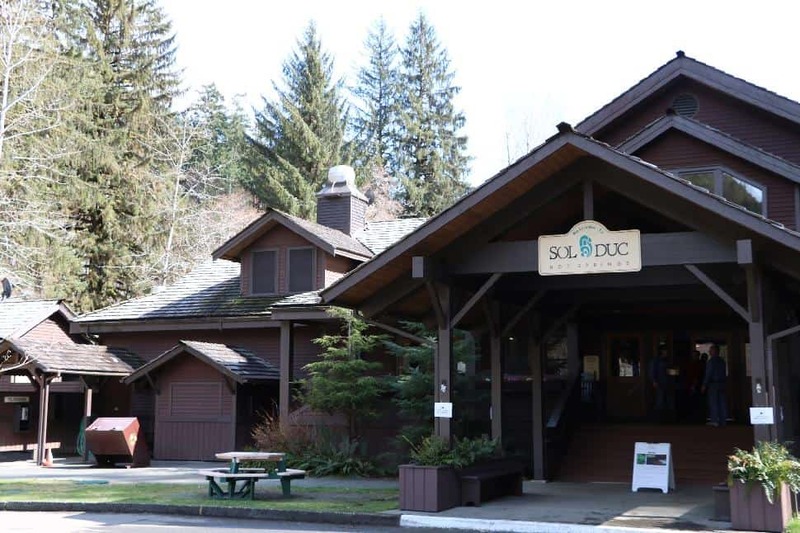 As Sol Duc Resort is in the middle of the forest, there aren’t many dining options around. Luckily, the dishes we devour are delicious: a mozzarella and tomato salad with smoked salmon; pasta with mushrooms and blackened chicken. 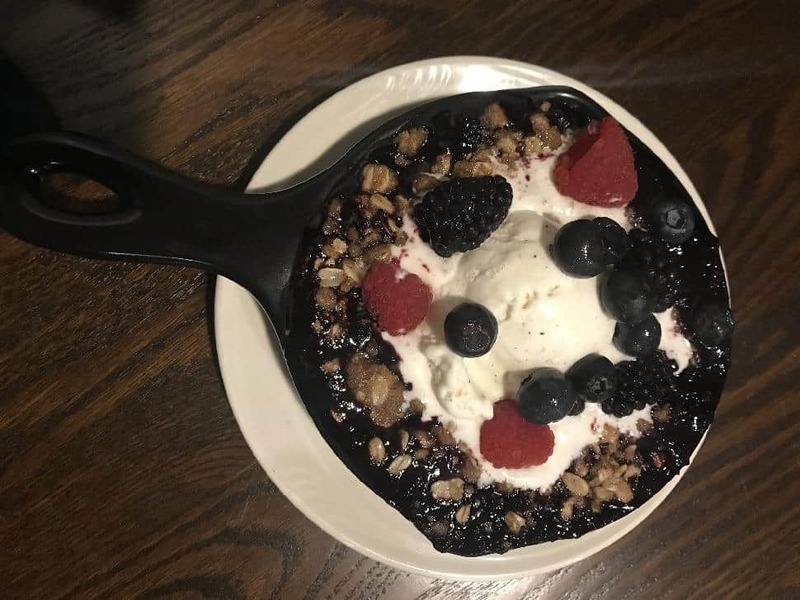 And to cap it off, warm local Marionberry Cobbler with brown sugar streusel and vanilla ice cream for dessert. Afterwards, we retire to our attached log cabin. Inside, we find two queen-sized beds, a fully equipped bathroom (with a bathtub), and a kitchenette. My favourite part? The free Starbucks coffee. In the morning, we dip into the mineral pools once again before leaving. After all, they’re said to induce healing, and who am I to pass up nature’s therapy? 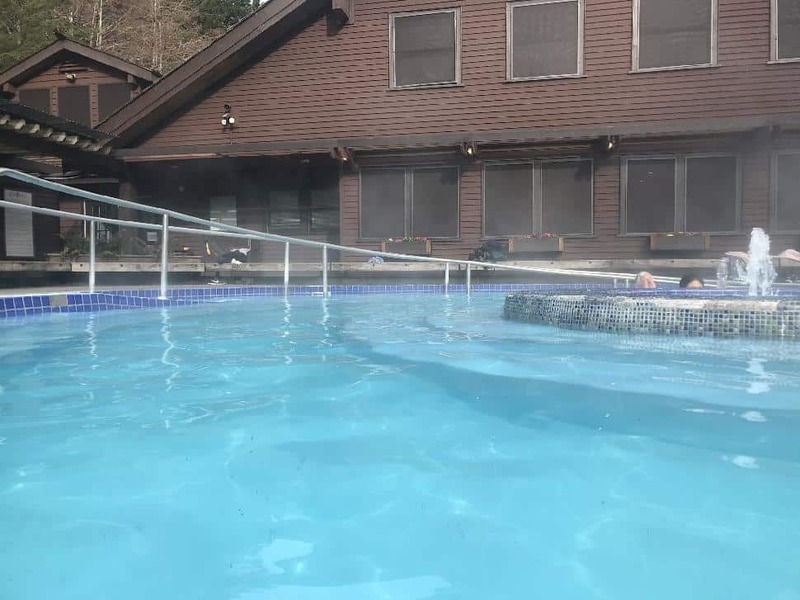 Sol Duc Hot Springs Resort reopened for 2018 on March 23. This year, guests will enjoy a newly renovated main lobby, restaurant and gift shop. 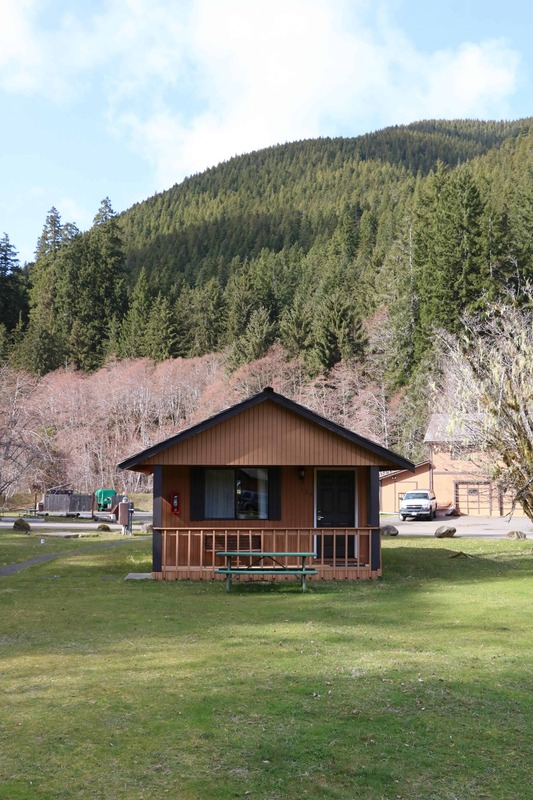 Book a stay at one of the on-site cabins, reserve a lot in the RV park, pitch a tent in the campground or simply stop by for a soak for $15 (for adults). For ultimate relaxation, book a poolside massage. 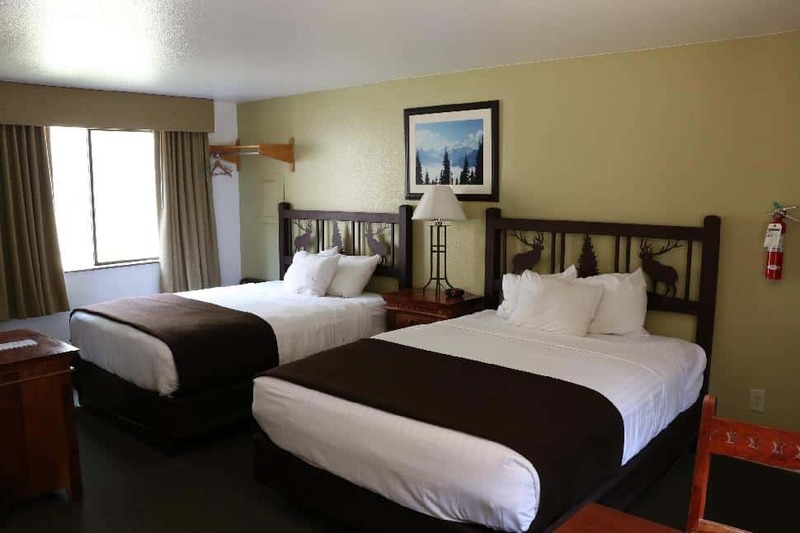 For more information about Sol Duc Hot Springs Resort, click here. 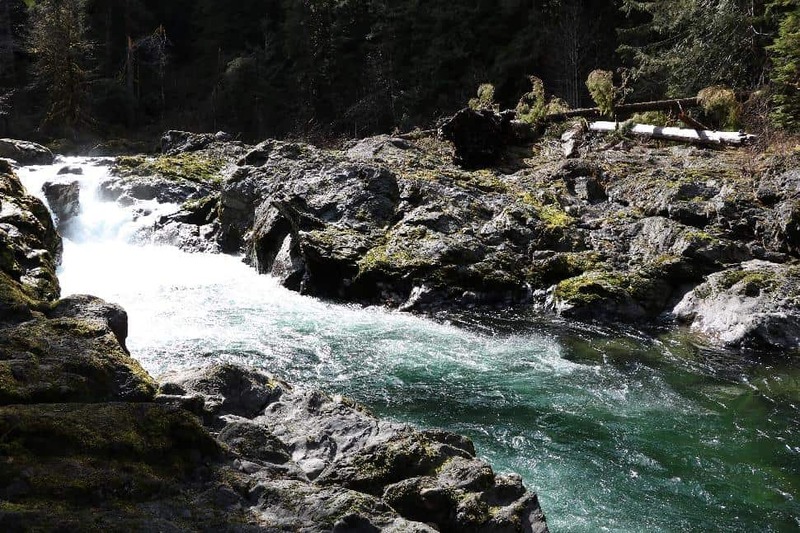 Disclaimer: This article was created as a part of a press trip with Sol Duc Hot Springs Resort. All opinions are my own.